The creator of a new antifungal treatment called Dr. Win’s Fungal Nail Therapy, Dr. Win L. Chiou has some pretty impressive credentials. A former FDA advisor, professor, and director of graduate studies of pharmacy at the University of Illinois at Chicago, Dr. Chiou is currently the president of Winlind Skincare. 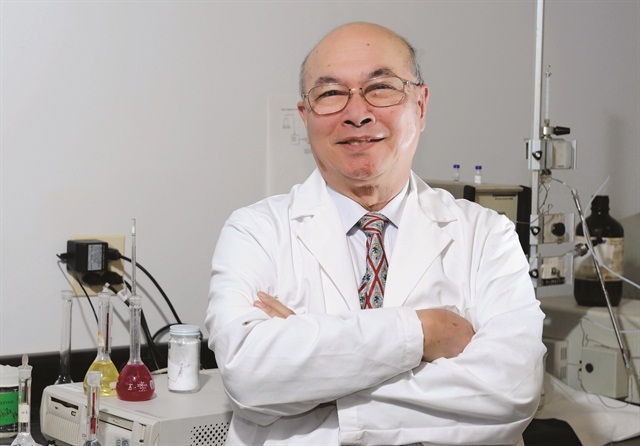 Even before earning his Ph.D. in pharmaceutical chemistry from the University of California San Francisco in 1969, he began his pursuit of an effective antifungal treatment. 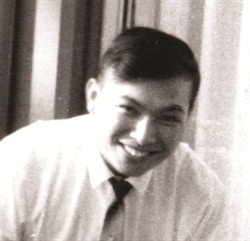 We wanted to understand why Dr. Chiou has devoted so much of his professional life to finding a cure for this surprisingly tricky condition. We began by asking him for some background on the prevalence of nail fungus. Do you know what percentage of the population deals with nail fungus at some point in their lives? Chiou: I would guess about half of the population deals with nail fungus — or onychomycosis — at some point, but based on what’s been reported or cited in the literature, fungal nail infection occurs in about 10% to 20% of the general population. Primarily, older people are more susceptible to nail fungus. However younger people, especially those with a temporarily weakened immune system, can be just as susceptible. The recurrence rate ranges from 10% to 50%, depending on what studies you look at. Your research on antifungal treatments dates back about 50 years to your days as a graduate student. What is it about nail fungus that you find so intriguing? Chiou: I was intrigued by nail fungus because historically it was so difficult to treat, especially in light of the fact that most topical bacterial infections can be treated effectively with drugs. Topical nail fungus treatments are, by and large, poorly effective, even after months of daily application. For the two recently FDA-approved drugs, Kerydin and Jublia, their mean cure rates after about one year of daily use were reported to be less than 10% and 20%, respectively. For the most commonly prescribed antifungal oral antibiotic, terbinafine, more commonly known as Lamisil, its mean cure rate is about 70% after one year of daily administration. However, it can cause hepatotoxicity, or liver injury. A major disadvantage of all three drugs is that they cannot be taken during pregnancy. To date, medical doctors throughout the world have been frustrated by this problem, so as a scientist, it has been both intellectually challenging, and personally rewarding, knowing that the medical community is looking for a fast-acting, effective solution to nail fungus with no or few side effects. It’s true that I’ve been at this for a long time — since my graduate school days, when I invented an antifungal antibiotic called Gris-PEG. Can you tell us a little more about Gris-PEG and its development? Chiou: Gris-PEG is a 40-year-old antifungal antibiotic containing the active ingredient griseofulvin, which was discovered in the culture broth of certain species of the mold Penicillium. The medication works by stopping the growth of fungi. I developed a technique to increase absorption of griseofulvin when taken orally. This approach is still the most widely used one to increase drug absorption. I used myself as a guinea pig to test my formulation, and even prepared an intravenous product for injection into my body! Today this would never be done, but there’s a longstanding tradition of medical self-experimentation, with some of mankind’s biggest scientific breakthroughs occurring through this process. It seems like progress in developing drugs to treat nail fungus has been very slow. Why is it so hard to treat? Chiou: Well, for the last five decades, nobody has created a drug that can do two things at once: quickly penetrate nails and rapidly kill the fungus growing inside the nail and on the skin. This is true for both topical and oral medications. If you look at most of the antifungal drugs on the market today, they are fungistatic, meaning they can only inhibit the growth of fungus in nails and skin. They are not fungicidal, meaning they cannot quickly and effectively kill fungus. Thus, their therapeutic action is very slow. Another reason for the slow action is that these drugs have a difficult time penetrating the nails. The drugs often bind to keratin, the key composition of nails, which markedly reduces the drug efficacy for nail infection treatments. So why exactly is it so hard for topical antifungals to penetrate the nail? Chiou: Most antifungal drugs today are hydrophobic, or highly water-insoluble, but the composition of the human nail plate, or nail bed, is hydrophilic, meaning it readily absorbs water. As a result, it is difficult for these antifungal drugs to effectively penetrate the nail because their hydrophobic qualities are working against them in a hydrophilic environment. How does your product, Dr. Win’s Fungal Nail Therapy, get around this? I understand you can even apply it over polish. Chiou: Dr. Win’s possesses both hydrophilic and hydrophobic characteristics, so it can rapidly penetrate nails to kill the fungus. Yes, you can apply it over nail polish without losing efficacy, and, at the same time, without compromising your nail polish. Dr. Win’s is sold over-the-counter, correct? How effective is it? Chiou: The product can kill more than 99.9% of two major fungal species responsible for nail infection in one-minute lab tests, making it both quick and effective. These dramatic results are possible because Dr. Win’s is fungicidal (it actually kills the fungus) rather than fungistatic. Right now, it is only available for sale at nail salons. The product is 99% natural and virtually without any side effects. What was the most exciting moment for you as you researched an effective fungal treatment? Chiou: I felt most excited when some of my early stage test subjects for Dr. Win’s could actually feel or see their improvement, such as a reduction in pain or a change in nail discoloration, in one or two days after initial application, and that some of the subjects’ nails could be cured or nearly cured of nail infection in about two weeks. It was a wonderful surprise. Now that you’ve had success in the nail fungus arena, what’s next? What areas of research interest you most right now? Chiou: I am currently trying to commercialize an all-natural, multi-functional product called Dr. Win’s Pedi Pill. The idea is that by simply dropping a tiny capsule, a pill, if you will, into a tub of water, the pill can very efficiently and effectively exfoliate and cleanse the feet, nails, cuticles, and tub, by itself, without the need for a nail tech. In addition, it can provide skin softening and rejuvenation benefits. 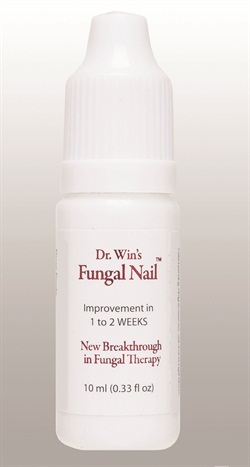 For more information on Dr. Win’s Fungal Nail Therapy, go to www.drwinsfungalnail.com.